This new home site has significant grade change. The client wanted to establish a fire pit area at the base of the grade. The challenge was to have a rolling transition of grade, eliminating the multiple changes in grade. Client also needed privacy plantings in the rear of the property. Before – At construction, many levels of grade changes existed. 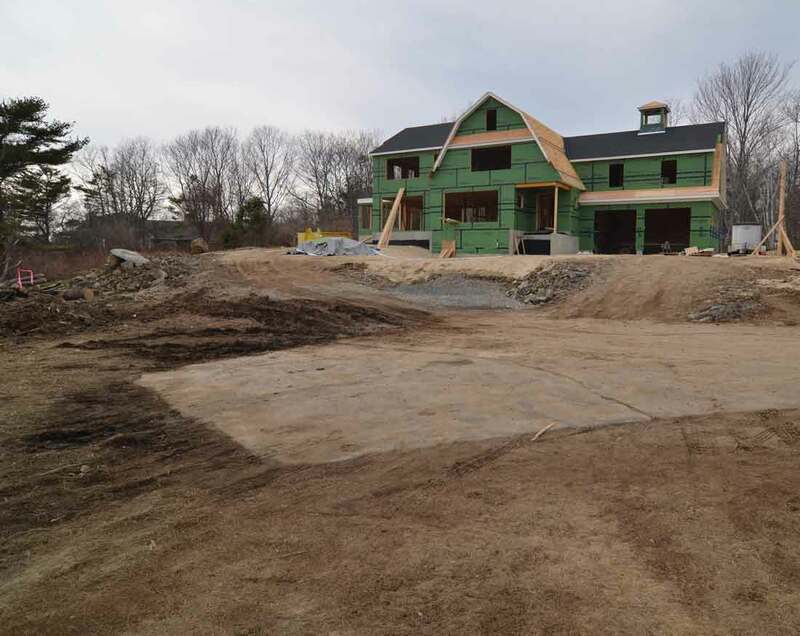 After – Careful site elevations were taken to achieve a gradual site grade for the lawn to meet the driveway grade. 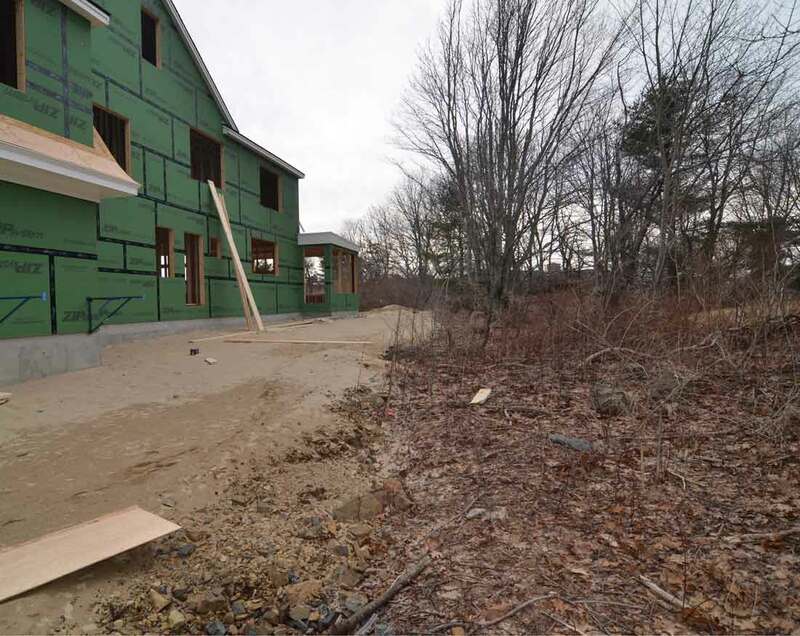 The photos above illustrate the many levels of grade change on this new home site. Access to the rear of the house was only on the left side, necessitating a construction access road in rough grade. 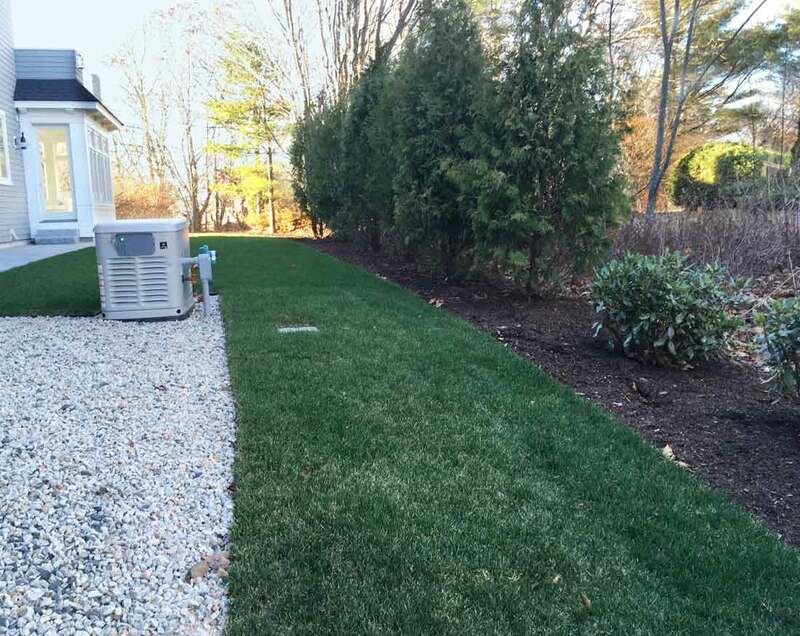 Timing was essential to finish landscape work in areas which septic installation would block. 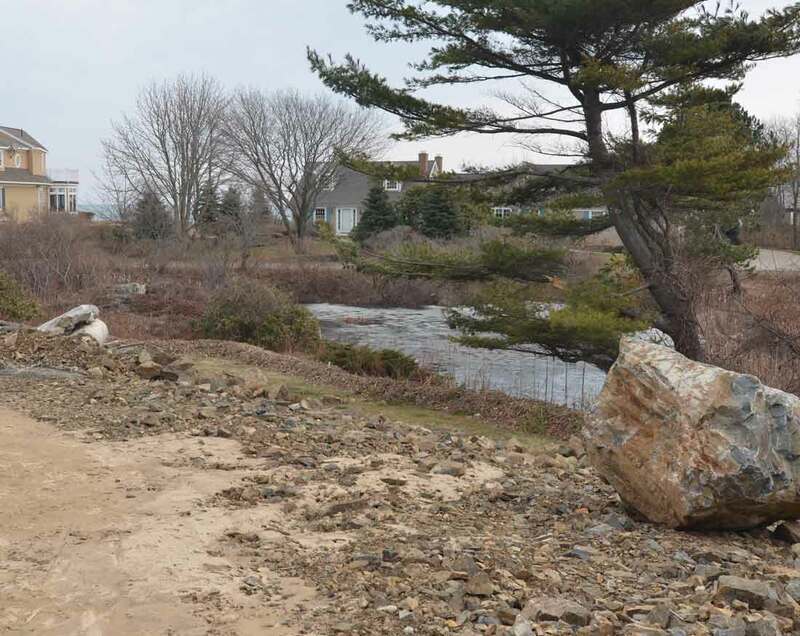 Before – This was the proposed area for the septic system, which also needed to be incorporated into the grade. After – A transient was used to ensure that the grade was consistent away from the house to a retaining wall. 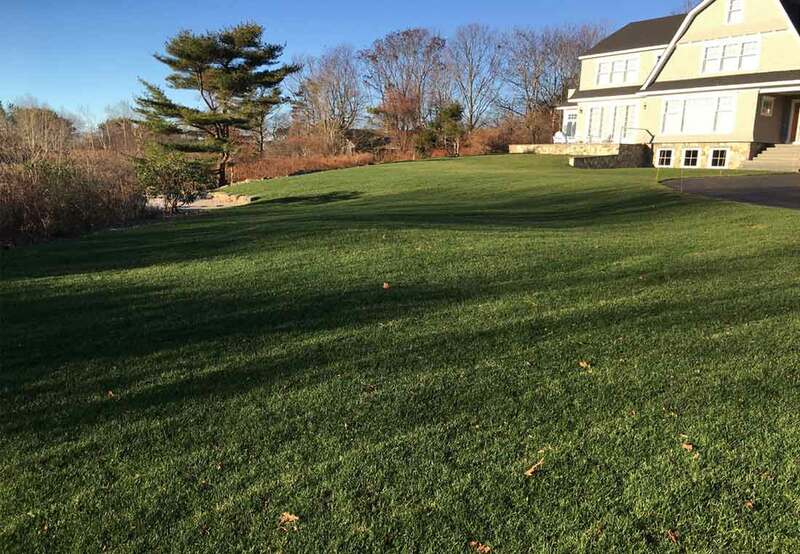 The above photos show established grade at time of sod installation. The challenge was to have a smooth transition from the house to meet with a boulder retaining wall on one side, the driveway on the opposite side and the fire pit area at the base grade. 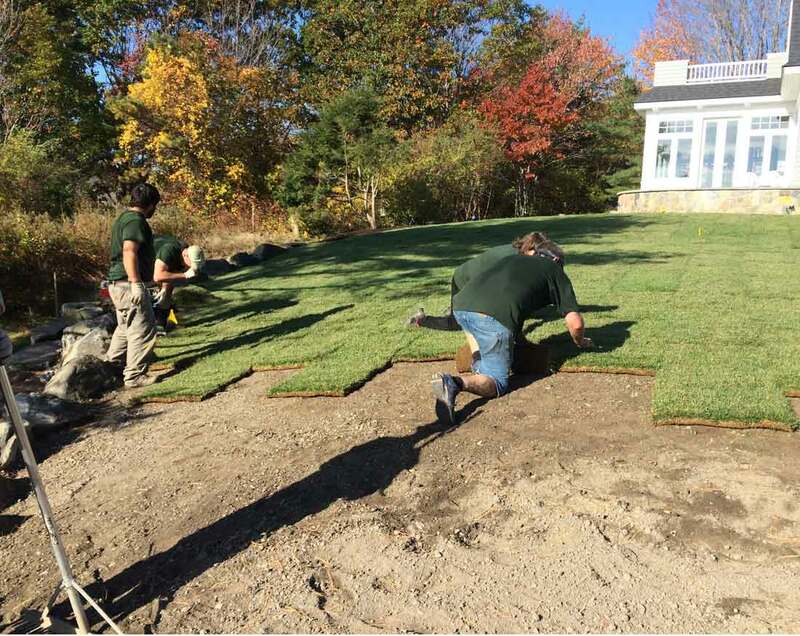 A transient was extensively used to achieve this grade and create a beautiful rolling front lawn. 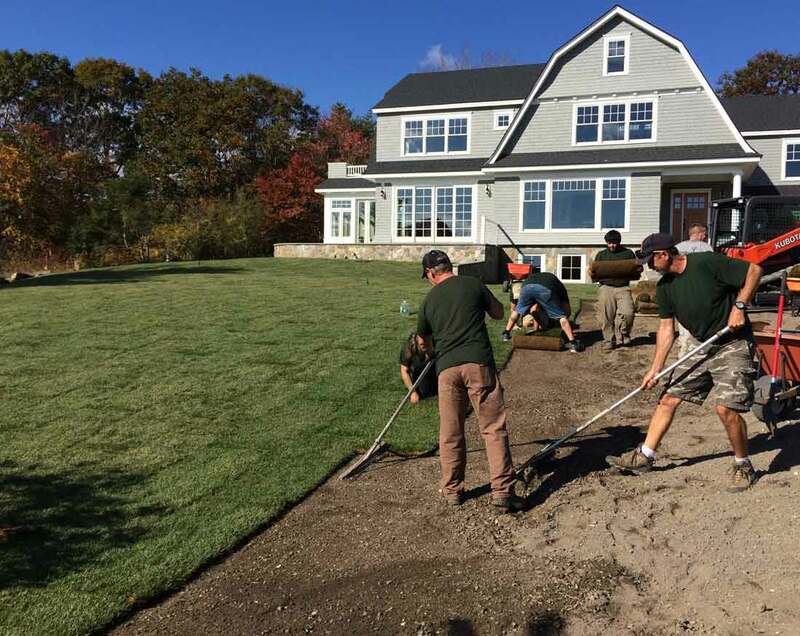 The importance of establishing the correct finish grade is to ensure that there is adequate height for installation of the six inches of loam/compost necessary for a successful sod installation over a sand finish grade. 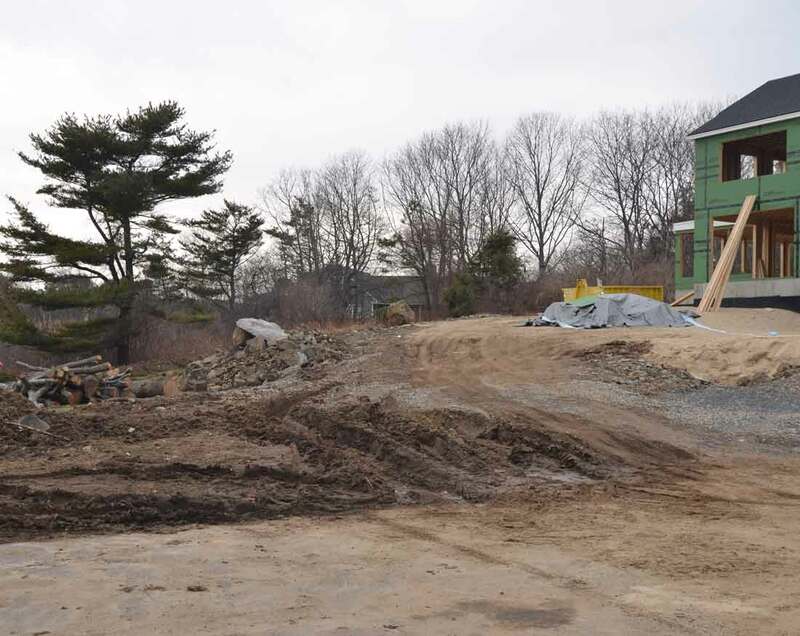 Before – This construction rough grade abutted and filled in the proposed fire pit area. 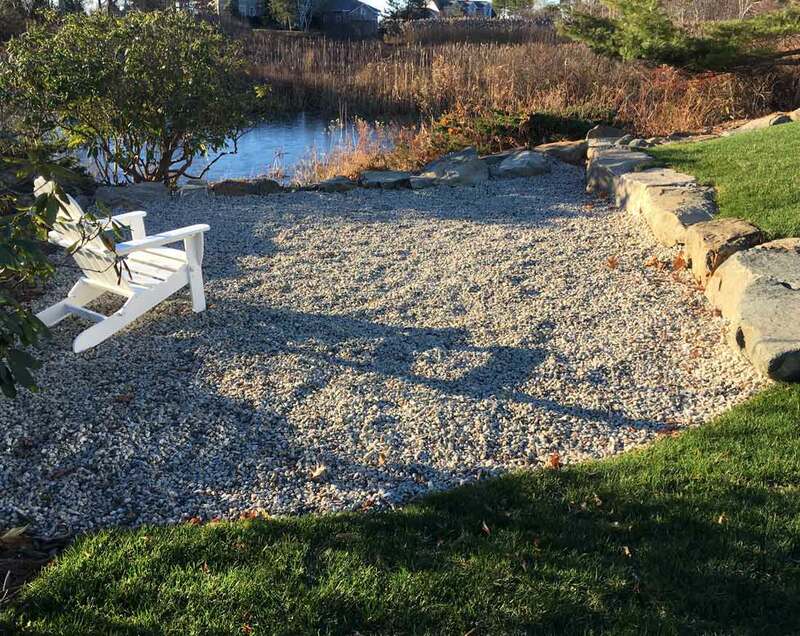 After – The fire pit area was cleared of construction debris, plant material pruned, and boulder wall installed. The challenge to installing the fire pit was to bring the grade from the house gradually down to a level that would meet the boulder wall that separates the lawn area from the fire pit. This area was full of briars, weeds, and bittersweet. Several mature plants were saved by removing the bittersweet growing up into them. A deep bed of stone was installed to ensure good drainage. Once an overgrown, messy area is now a relaxing seating area overlooking the marsh. Before – The rear of the property had no existing privacy plantings and looked directly at the adjacent house. After – Fourteen 12’ arborvitae were planted in an alternating fashion to achieve total privacy. The above photos shows the transformation of the narrow rear section of this property. The proposed planting area had very poor, sandy soil. It was excavated to a depth of 24” and 5’ wide to accommodate the large 12’ high arborvitae. They were planted with a loam/compost planting soil. The utilities of generator and A/C were dressed with a bed of 3/4” stone.